An engagement ring is, arguably, the most important purchase of a man’s life and most men, don’t know where to start. My skill is to make sure a man presents the perfect engagement ring for that one life-changing moment. A ring she will say “YES” to and love for the rest of her life. Commissioning a unique engagement ring to present to the girl you love is simply the best way of showing her how much she means to you. 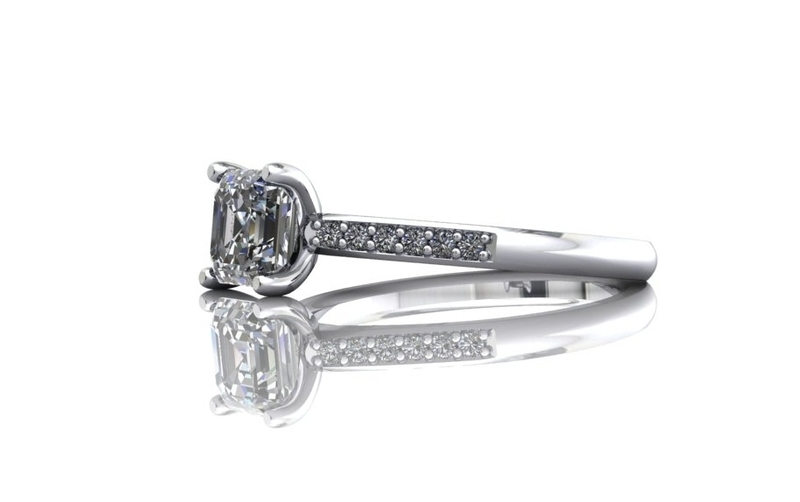 Click on the link to find out more about my bespoke engagement ring design service. 100% guaranteed to make sure you get it, not just right, but absolutely perfect. "I took her hand in mine and placed her new shining star on her finger, the symbol of what she means to me. She tells me it is the most perfect ring she's ever seen. Thanks Chris"
"This time, I wanted something a little bit different, and WOW! What a ring. It is stunning and I love it"
"What an amazing transformation you have created to my wife’s Diamond Solitaire ring, the new Platinum ring you have designed and crafted is stunning."